In September 1998, I saw my first Papillon and fell madly in love, of course. I immediately began to research the breed, ordering books and reading on the Internet. After reading about them, I knew this was exactly the breed I had been looking for. They had all the qualities I wanted in a dog, particularly the "lap dog" part. I'm recently disabled and not used to being home all the time. We have cats, but they aren't a lot of company for me so I wanted a dog that wanted nothing more than to be with me 24/7 and a dog that was small enough that I could easily handle it and that could travel with us. From my research, the Papillon fit this bill exactly. I also discovered Debi Davis' webpage during my research and saw all the things that her Papillons do as service animals and that was the icing on the cake for me. I HAD to have a Papillon. I did get my Papillon, but not the way I originally intended. In April 1999, we went to Pittsburgh to see some Pirates games and went to a mall in Niles, OH. They had a pet store there, which sold puppies and kittens. We always looked at the store when we went to Niles, but never had any intention of buying a dog from a pet store. I knew the problems that can come with pet store dogs, poor health and temperament. I should have had John take me out of the store immediately when I saw they had a Papillon, but that isn't what I did, of course. I had to see the tiny baby they had. I still had no intention of buying a puppy, but Turner had other ideas about that. We spent about 2 hours in the shop with him and that was it, I couldn't leave him there. After some discussion, we decided to buy him. He was "on sale" because he had been in the store for a long time (about 6 weeks) and older pups are harder to sell. The store did not ask us any questions, like whether we could afford to take care of a puppy or if we were allowed to have pets where we lived. They took the credit card and we took the puppy. Turner will be a year old December 12 and is training to be my service dog. He's made a lot of progress with his "issues", but it has only been with months of constant work/desensitization. I firmly believe that his "problems" are a result of being commercially bred. He was whisked away from his mom and littermate and transported from Missouri to Ohio when he was around 8 weeks old. He was then kept in a kennel/pen at a pet store for another 6 weeks until we purchased him. He has virtually no dog communication skills. He is terrified of other dogs, large or small. It has taken us months to get to the point that he doesn't both freeze and drop to the ground when he sees another dog, even at a distance. He would also scream and try to run if he felt cornered. If a dog got too close to him (or me) he would lip curl and snarl or snap. We have had him in classes since he was 16 weeks old and we are proud that the months of working paid off and he was able to pass his CGC test. He doesn't know how to play, with other dogs or with toys. It is heartbreaking to see him want to join in play and have no idea how to go about it. We tried to foster a dog for rescue recently and it was a miserable failure because he just wasn't ready. It was so sad to watch John playing with the foster and Turner sitting off to the side just watching them play. It was a great celebration here last week when 2 nights in a row he picked up a toy on his own and was running around "killing" it. Our apartment looks like a pet store exploded in it, because I keep buying toys trying to find the 'magic' one that will become a favorite. He can also be "snarky". He had no bite inhibition when we first got him so we had to teach him that. That is something puppies normally learn from their moms and littermates, but because he was taken away so early he didn't learn it. Learning to tolerate brushing and nail clipping without trying to bite my hand took months of desensitization. He has guarding behaviors. He also has several "no touch" spots on his side and back leg that if you happen to brush when he's sleeping you get a warning snarl. These are things we are still working on to get more appropriate behaviors. It's a slow process. In the area of health, we are very lucky. We have no luxating patellas...yet. He does have an eye abnormality that they are watching to see what happens. The vet doesn't think it is PRA, thankfully. When we first brought him home he was terrified of the dark. He would bark incessantly at shadows and it eventually became clear that he was having problems seeing things, at night, when we were on walks so we had his eyes checked. For the first 3 months we had him, we could not have dark anywhere in the apartment. We started out with all the lights on 24/7 and slowly started turning one off during the day, then leaving that one off during the night and then starting working on another light. Now, 7 or so months later, he can handle the dark much better. He's still easily startled at night, however. If he sees a tree blow outside the window we are up with him for 30 minutes minimum. He could not stand to be crated or confined at all. I can't blame him after being in a cage for basically his whole life. I chose not to push that issue with him, but that made housebreaking harder. One of my goals is to get him to accept the crate. I have no illusions that will be an easy process. I expect it will take months. I consider myself extremely lucky. He is within the standard for a Papillon. He looks like a Papillon, which isn't always the case when you get a dog from someone other than a reputable breeder. He has all the great qualities we want from these wonderful little dogs. He is my constant companion. He likes nothing better than sitting on my lap. He has issues that we will work on, probably for the rest of his life. I am home with him all day, everyday and work with him constantly and he still has all these things he has to overcome. He would be a prime candidate to end up in rescue, in my opinion. He is a lot of work....work I consider worth it, but I don't know that everyone would. He is a perfect example of reasons dogs (all dogs, not just Papillons) end up in rescue situations. 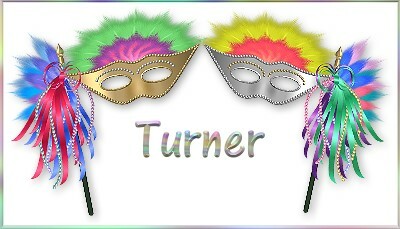 Do I regret having Turner.not for a second. He is my heart. Would I chance my luck with a commercially bred dog again...NO. Since getting Turner, I have met a lot of wonderful people in the breed and am now on waiting lists for several reputable breeders for my next Papillon. I am shooting for 2001 for my new edition, but if the breeders that have agreed to let me care for one of their precious furbabies do not have a puppy for me then, then I will wait until they do have one. Turner does now have bilateral grade 1-2 luxating patellas. He is asymptomatic and we manage using Vitamin C and Glucosamine/Chondroitin. His eye abnormality has not progressed and we have not had a specialist check it since it's not progressing or causing him any problems and he's not a breeding animal.